All hail the queen of all green juices! This elixir has an incredibly high nutrition to low calorie ratio. A fantastic blood purifier, alkalizer, energizer & cell rejuvenater. It’s also a source of protein with a high amino acid profile. 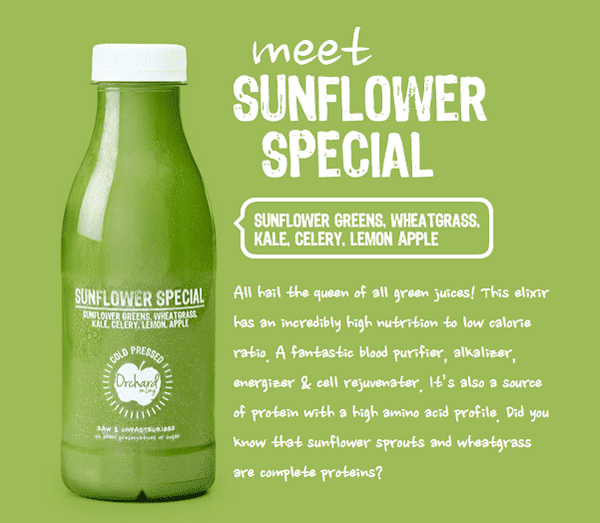 Did you know that sunflower sprouts and wheatgrass are complete proteins? Our take on a gazpacho for the more savoury palate! 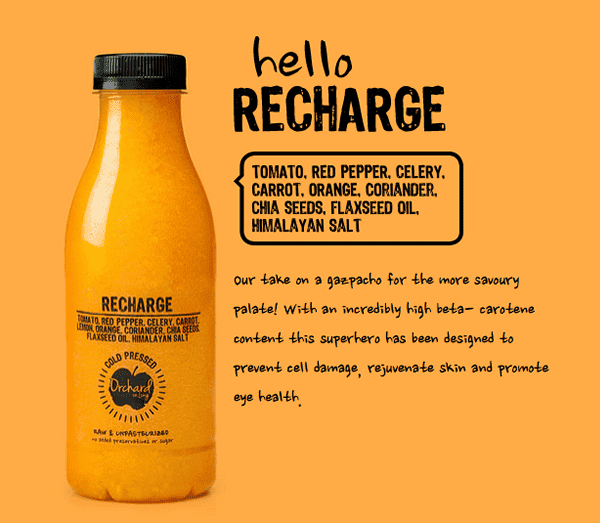 With an incredibly high beta- carotene content this superhero has been designed to prevent cell damage, rejuvenate skin and promote eye health. 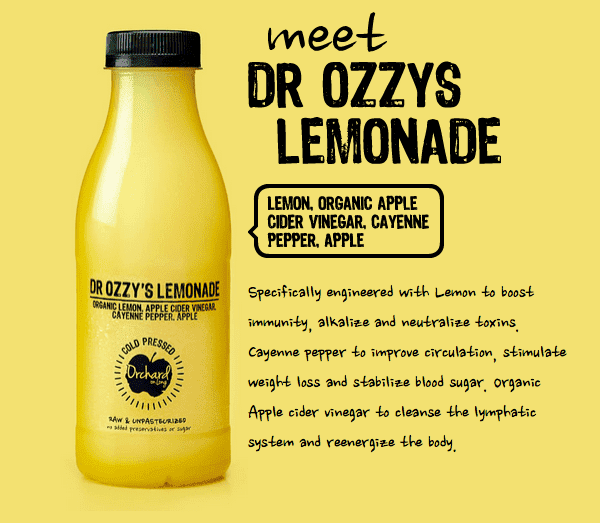 Specifically engineered with Lemon to boost immunity, alkalize and neutralize toxins. Cayenne pepper to improve circulation, stimulate weight loss and stabilize blood sugar. Organic Apple cider vinegar to cleanse the lymphatic system and reenergize the body. Holy smokes! This stuff is the real deal. 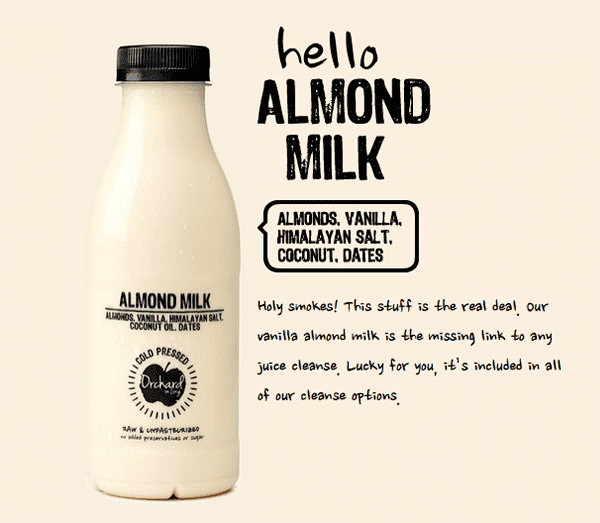 Our vanilla almond milk is the missing link to any juice cleanse. Lucky for you, it’s included in all of our cleanse options. Started in June 2013, Orchard on Long was the pioneer of the juicing scene in Cape Town. Orchard on Long was born out of a ferocious passion for nutrition and creativity. The health bar was the first of it’s kind in Cape Town. Our aim was to showcase the art of premium juicing – a science that marries taste, convenience, innovation, passion and health. Orchard is by no means ordinary – we have a dedicated team that cold-press juice throughout the day to ensure our juices are as fresh as possible. 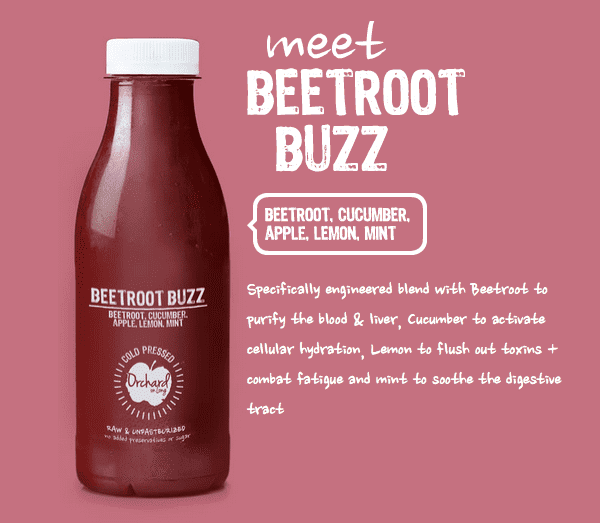 The juices are hydraulically pressed with state of the art juicers – with the ability to retain up to 5x the vitamins, minerals and enzymes compared to standard centrifugal extraction. We also serve a wide range of vegetarian and vegan dishes. Our smoothies are known as the best in Cape Town.  Our menu includes smoothie bowls, wraps, sandwiches, soups, salads, smoothies, vegan burgers, gluten free flapjacks and zucchini pastas. Venture to our urban oasis for the full juicing and health experience! Everyone wants to be their best, feel good about themselves and maximize every bit of potential they have. We CANNOT do this if we are polluted and ill-nourished. We NEED to cleanse and nourish our system for it to function optimally. Modern society bombards us every day with thousands of environmental toxins in all shapes and forms – these pollutants accumulate in our system and affect our health at a cellular level. The Orchard cleanses have been designed to help correct these imbalances, repair the cellular damage and restore our bodies to their full potential. Whether you’re a health nut or food junkie you can benefit from a cleanse! A VERY IMPORTANT NOTE: Cleanse orders are only booked in once payment is made online.  Booking times are from Monday to Friday 9am-4pm (we do not take new bookings over the weekend). We need 24-48 hours to book you into the schedule (i.e it is not possible to get your cleanse the next day, unless you have made prior arrangements with the manager). Our manager will be in touch with you as to when the next available slot is. Deliveries are for customers account and are made via Uber. An evolution on cleansing which combines the power of juicing and high nutrition, raw snacking. The Virtue cleanse contains an abundance of easily digestible fibre, probiotics, healthy oils, vitamins and minerals. For beginner to advanced clients. Line up: Greens, Activated Almonds, Halo Shot, Black Magik, The Panda, Kale Chips, Ginger Kombucha, Health Crackers & Hummus, Lemon Powerball. Can I exercise during my Orchard cleanse? Absolutely! Exercise during a cleanse helps to stimulate your lymphatic system to expel toxins effectively. No need to run a marathon! Yoga, a jog or a light gym session will do the trick. What order must I drink the juices in? Your juice schedule guide is included with your cleanse to give you a full breakdown of when and in what order to drink the juices. All your juices are numbered for your convenience. Do I need to drink all the juices? Aim to finish all your juices – your body will require the full spectrum of vitamins, minerals & enzymes to heal & to unleash the full potential of the cleanse. The key is to pace yourself – this is not a race. Drink your juices slowly. If you feel full leave your juice and get back to it later. What about the detox symptoms? What can I expect? Detox symptoms varies between individuals. The process of eliminating stored toxins can sometimes be a little unpleasant but symptoms subside as the cleanse progresses. It is extremely important to drink lots of water to assist the body in removing toxins + keep you hydrated – this will help counteract detox symptoms. Withdrawal symptoms from things like caffeine, sugar, alcohol, smoking are often the first to show up in the form of headaches. Fear not, the Orchard cleanses have been designed in such a way to help assist you to overcome any detox symptoms. Those who worry that their bodies are extremely toxic should spend some time before the cleanse to prep their bodies. Some of my juices have started to separate. Should I be concerned? Nope! The separation process is a completely natural process. Just give them a shake and voila! Good as new. How should I store my juices? Your juices must be kept chilled in the fridge at all times. If you have a question and can’t find your answer here you’re welcome to drop us a mail cleanse@orchardonlong.co.za or call us on 0214243781 and we’ll assist you wherever possible. Everyone wants to be their best, feel good about themselves and maximize every bit of potential they have. We CANNOT do this if we are polluted and ill-nourished. We NEED to cleanse and nourish our system for it to function optimally. Modern society bombards us every day with poor nutrition and thousands of environmental toxins in all shapes and forms – these pollutants accumulate in our system and affect our health at a cellular level. The Orchard cleanses have been designed to help correct these imbalances, repair the cellular damage and restore our bodies to their full potential. Whether you’re a health nut or food junkie you can benefit from a cleanse! what are some of the benefits I can expect after my cleanse? General benefits include: increased energy and sense of lightness, cleansed digestive system, weight loss, alkalized body, strengthened immunity, loss of cravings (i.e. sugar and stimulants) and a glowing complexion. Cold-pressed juice retains a higher nutritional profile & longer shelf life than ‘fresh’ pressed juices/ centrifugal juices. The cold-pressed extraction method limits heat and oxygenation – both factors damage the nutritional integrity and shelf-life of a juice. The Orchard team truly understand juicing and doesn’t cut corners. All of our cleanses have been designed by leading health and cleanse experts. We use the Norwalk hydraulic press juicer – the most respected cold-press juicer in the world due to its unparalleled ability to retain the maximum nutritional value of juice. All of our cleanse juices are pressed during the night (and not the day before) to ensure your cleanse juices are as fresh as possible. We never heat, freeze, pasteurize or add any preservatives to our juices. We are here to offer you the best juice cleanse possible. All of the cleanse juices are pressed with Norwalk Juicers. The Norwalk extraction method limits oxygenation during the extraction process so your juices will have a shelf life of 3-days but HAVE to be kept chilled in the fridge. The 5-day cleanse is broken into two deliveries/collections to ensure the juices are kept as fresh as possible. This varies between individuals. It’s always best to cleanse whenever you’re not feeling up to scratch in any way, shape or form. A good time is after a weekend or holiday of indulgence. A cleanse is essentially the ‘reset’ button to take your body back to its healthy, happy homeostasis (balance). Preparation, both physical and mental is very important running up to your cleanse. Firstly try to clear up your social calendar (e.g. dinners with friends) during the course of your cleanse. You want to avoid any temptation! Cut out anything processed from your diet and limit caffeine, protein, refined sugar & alcohol intake. If you want more guidance please email us for a more detailed outline. I’ve finished my cleanse! What now?! Please email us and we’ll send you a post cleanse outline to help guide you off your cleanse. Do you offer custom cleanses for specific needs? Is it safe to do any of the Orchard cleanses while I am pregnant or nursing? A radical nutritional change is not recommended during pregnancy/ nursing. Our juices may be used as a supplement to your regular diet – this is an excellent way to add extra nourishment for both you and your baby. Is an Orchard cleanse recommended if I have diabetes? If you have diabetes it’s best to consult your doctor. Can I do an juice cleanse whilst on blood-thinners? It’s best to consult your doctor first. None of the Orchard cleanses should be used purely for weight loss purposes as they do far more than just that. Weight loss is merely a byproduct of the detoxification process. Your body will not let go of the extra baggage unless you have detoxified your body. Is an Orchard cleanse recommended whilst taking antibiotics? Rather wait until the end of your course of antibiotics before you start your cleanse. Taking antibiotics on a juice cleanse is counteractive to the whole process. You don’t want your digestive system to battle more than it needs to. Smoking is counterproductive to the cleanse process! We do not recommend you smoke at all during a cleanse. The Orchard cleanses are lactose free and are perfectly safe for lactose intolerant clients. The Radical, Purify & Virtue Cleanses contains a ‘greens’ which has a small amount of oats but this can easily be swapped for a gluten-free alternative. What if I have have a nut allergy? The standard Orchard cleanses contain nutmilks but these can easily be substituted for a nut-free alternative. Be sure to inquire about a nut allergy substitution before ordering a cleanse. Is it necessary to supplement fibre whilst on a juice cleanse? Supplementing fibre will not harm the cleanse process. You are welcome to incorporate natural fibre replacements like Psyllium husks or Chia Seeds with your juices if you feel the need. Our virtue cleanse takes fibre considerations into concern. Is there enough protein in an Orchard cleanse? The Orchard cleanses have been designed for top athletes and take protein considerations into concern with the aid of nut milks and plant sources high in amino acids (e.g.sunflower sprouts). These sources are all vegetarian and in moderation to allow easy digestion during the cleanse process. If you want to supplement your cleanse with protein speak to the Orchard team about any products we recommend in combination with the cleanse. Do I need to supplement with multi-vitamins? This is not necessary. You will receive a broad spectrum of highly absorbable nutrients on all of the Orchard cleanses. The Orchard cleanses have generally been designed to limit sugar intake. Our 3-day radical cleanse has the lowest sugar content and is suited for advanced clients. There is absolutely no added sugar in any of our products. It’s important to note that fruit, vegetable and root based sugars are very different types of sugars to the popular notion of ‘sugar’ which is white refined sugar and high fructose corn syrup. How many calories do the Orchard cleanses contain? Calories are the least of your concern. The Orchard cleanse is a nutritional program so all the calories in our juices are assimilated by the body and are not wasted. We encourage our clients to stop the outdated notion of calorie counting. There are approximately 1000 calories per day.